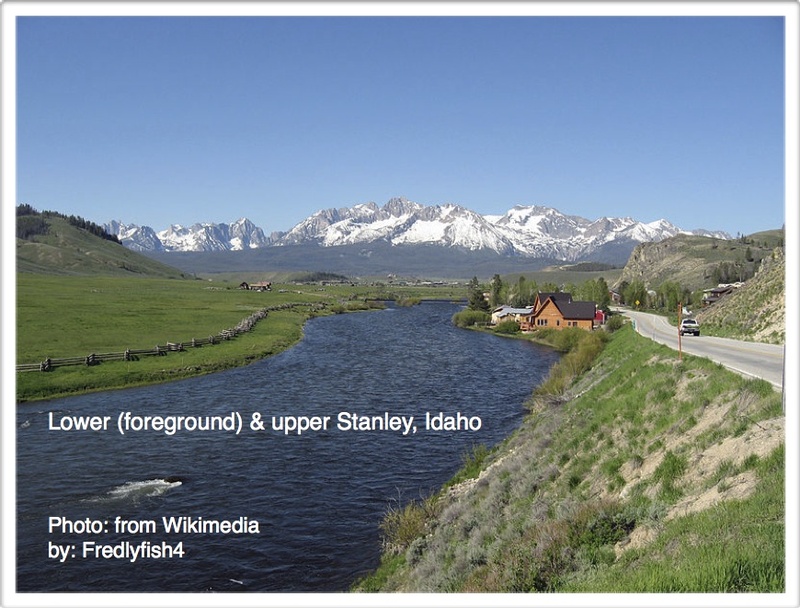 My second stomp in Idaho’s wilderness was in Stanley. It must have been 1958, when I was in the sixth grade. 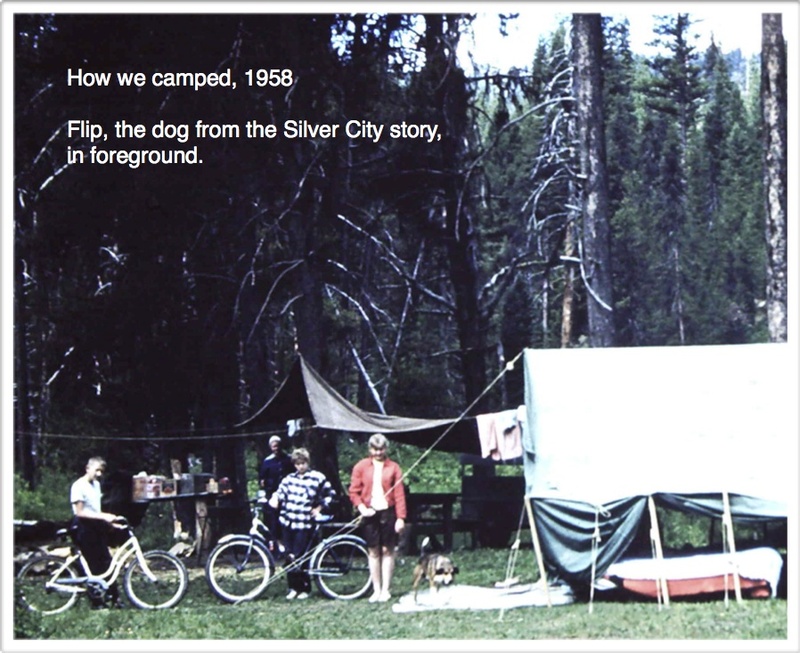 We were camping at Redfish Lake, hiking the trails over the Sawtooth Mountains, when the good citizens of Stanley decided a community dance would be just the ticket to attract business and a chance to get together outside of the several bars in town—not that I think the second reason had much to do with it. It was the first official Stanley Stomp I had heard about and, as I remember Mom and Dad talking, it may have been the first ever. Stanley Stomp. I still like the way the name rolls about in the mind. It was a big community hall and filled with revelers. Mom pointed out a little girl sitting with her family across the dance floor and encouraged me to go ask her to dance. But I wanted to dance with Mom and she indulged me one or two before all but booting me over to the pretty girl looking for something to do. I’d had one experience asking a girl to dance at the Silver City stomp, so had a bit of confidence. The pretty girl said yes, she’d dance with me. We started picking our way, two steps forward and one back, around the edge of all the big folks on the floor. It was funny, dancing with her. Every time I as much as tweaked a hip or flipped a foot or dipped a shoulder the least bit of an inch, she was right there doing the same. When she’d even get her foot started on a twirl I was swinging into her movement. We experimented more and more and got bolder and bolder in our steps. Every time she was not even a second behind my moves and I responded instantly to hers. It was heaven. The music filled us both and we both responded exactly the same way. Before the first dance was over, I was hooked. And, yea, we talked. She was from some place named Rexberg and, try as she may to explain where that was, it sounded like the other side of the moon. Not that I cared. We danced every dance and for all I know the only reason Mom and Dad stayed so late was because I was dancing the night away. This entry was posted in Dancing #1 and tagged Rexberg, Second dance, Stanley Idaho on July 12, 2013 by deansgreatwahoo. Well, Linda, the trick is to not dance properly. The old waltz step (two forward, one back) was drummed into us back in the 50s (way before your time). I do enjoy twirling a partner and some “dancing together” but most of my dancing is putting my feet on the floor and letting the floor and the music take over. They are seldom proper !